Award Winning, Vistage Speaker of the Year 2014/15, Dean Minuto presents his Coaching Tools from his YESCALATE: GET TO YES FASTER® Course. The Coaching Tools Dean has used in Coaching CEOs and their Teams (more than 9,000 executives coached in last 25 years) to help them GET TO YES FASTER®. 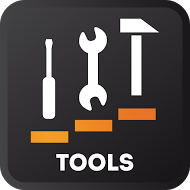 These are the same tools that Dean shares with CEOs and their Teams when they engage him for coaching and consulting sessions.